Max Jeri was convicted and sentencing for importing 7.95 kilograms of cocaine into the United States after he arrived from Lima Peru at the Miami International Airport. The evidence produced at trial showed that after his arrival in the Miami Airport a Customs and Border Patrol Officer inspected his luggage and discovered cocaine secreted in various items in his luggage including children’s jackets, notebooks, purses, and pillows. He gave the officers the person for whom he was transporting the items and was a travel agent and a long time friend who offered him a free round trip ticket to Peru and in exchange she asked him to take two bags of merchandise to her sister and to return to New York with the two bags. He said the items he took to Peru were electronic items toys and shoes. For the return flight the sister went with him to the airport where she showed him the contents of the suitcases, which he checked and boarded the flight to Miami. Following the seizure, Jeri volunteered to make controlled calls to the friend in an attempt to elicit inculpatory comments about the drugs in the suitcase, but the friend repeatedly claimed the bags were clean. The agents attempted to arrange a controlled delivery of the drugs but the person who came to pick up the packages refused to take them. A camera crew filmed the defendant’s stop and search by customs for a film called Drug Wars. The prosecution did not receive it until the night before trial and the defense did not receive it until the morning of trial. The defendant moved to continue the trial because the defendant’s attorney had not seen the video but the motion was denied. At trial the judge did not allow the defendant to introduce a transcript of the controlled calls and the text messages with the friend. Defendant also objected to the trial judge’s decision to allow a government’s witness to offer expert testimony about drug courier behavior. The appellate court ruled that the court did not commit error for refusing to continue the trial to give the defendant an opportunity to review the video. While it showed the items in the suitcase after they were taken out and put on a table there was nothing in the video that would have been exculpatory for the defendant and therefor the defendant did not suffer substantial prejudice by the failure to grant a continuance. The court also agreed with the trial court’s decision not to admit the telephone call transcript as it was hearsay. The statements were by the friend and only revealed the friend’s state of mind and not the defendant’s. Nothing about the call illuminate the defendant’s state of mind about the drugs. 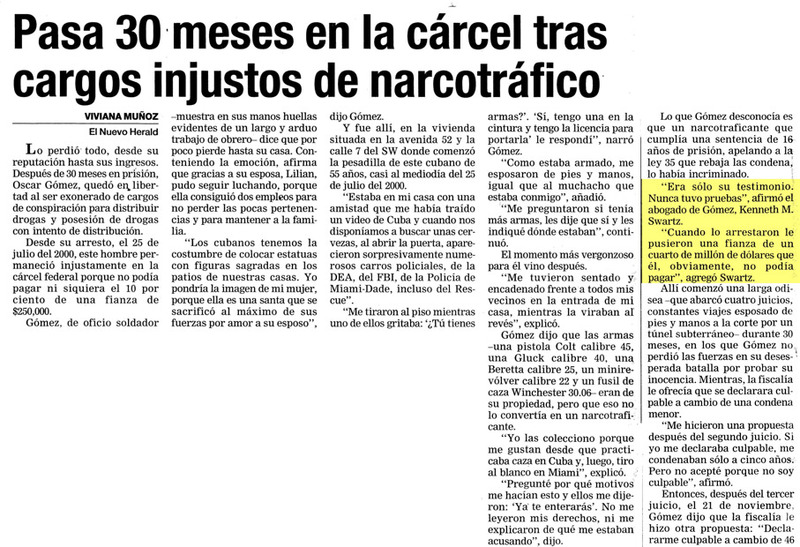 The court also approved of the government agent’s testimony about drug courier’s who come equipped with a back story. The prosecution was entitled to challenge the defendant’s cross-examination as to the credibility of the defendant’s defense by probing the witness on redirect about whether the statements were part of a back story given to the defendant or whether he had been coached. Finally the defendant challenged his federal criminal conviction on the grounds that the government used the agent as an expert to testify about he had been the agent in countless drug cases involving couriers how couriers come equipped with back stories. Even if the use of the agent as an expert was error, the error was harmless.